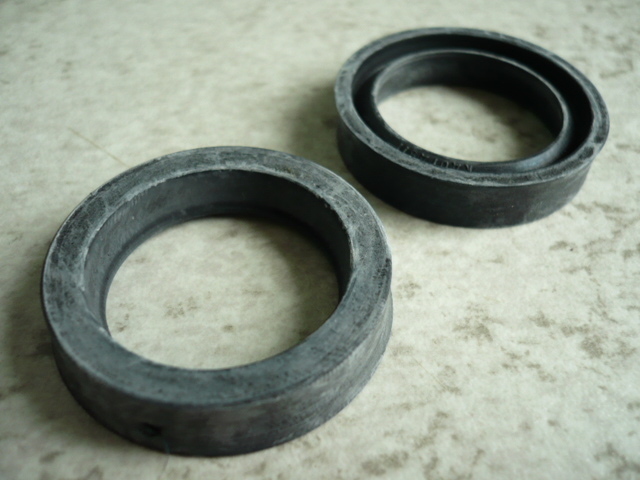 1x Seal for Orsta control block "U-Ring inner lip ring" (28 x 38 x 8) Empor T157 / 2 full hydraulic excavator slewing crane VEB (agricultural machinery red banner chub) / Seals Universal Loader - Wheel excavator - jib crane - Loader. You are purchasing a sealing ring (6 pieces installed) for VEB Progress Universal Chargers T 157/2 VEB Orsta hydraulic lift cylinder TGL (lift). You have the choice between a or the more seals. The exact amount you can enter below the offer price in the number. Other parts available for purchase in our shop by clicking on the appropriate Shop Category. You have the opportunity to purchase more items in our store. We also answer questions via email: admin@awt-shop.de or phone: +49(0)176/21193525 and +49(0)38295/774067.